Waryam Singh Sandhu, the well-known short story writer IN Punjabi, describes Gurvinder Singh’s film Anhey Ghorhey Da Daan, based on a novel by Gurdial Singh as "a great gift to Punjabi cinema". "It is a miracle wrought by Gurvinder," he says. It got many awards and honours that had never come to a Punjabi film before. Gurvinder’s film comes for a release in the PVR network this month and the script of his next film based on Waryam’s story, Chauthi Koot, set in the turbulent 1980s in Punjab has already won an award for its script at Singapore. The massive commercial success of Jatt & Juliet that follows the beaten track but with technical finesse shows that Punjabi cinema is indeed heading towards interesting, or rather exciting times, in both the beaten and the unbeaten tracks . With the growing viewership of the vast Punjabi diaspora, the past decade has seen mainstream Bollywood cinema grabbing at Punjabi themes, music and what have you in a big way — be it Jab We Met, Love Aaj Kal, Vicky Donor, Rab Ne Bana Di Jodi and many more. Our Lajpat Nagar beauty parlours, Bathinda or the wayside eateries of Amritsar have been immortalised on celluloid. Perhaps, this has spurred on a young breed of filmmakers to try bigger budgets in commercial cinema or undertake experiments with smaller budgets, in an area that remained forsaken for long. The first Punjabi film, Pind di Kudi, was made by K.D. Mehra in Calcutta and released in Lahore in 1936. With a teenaged Noor Jehan as the singing star, it was a hit across the province. He followed it up with Heer Sial in 1938. The talented music director Ghulam Haider got his break with D. M. Pancholi’s Gul-e-Bakavali in 1939, followed by Yamla Jat in 1940, once again featuring Noor Jehan. It became a huge success. After Partition, with Lahore studios in shambles, talent headed towards Bollywood fantasia. When a national film magazine asked me to pick five must-see Punjabi films down the years: I could just pick four from India and one from Pakistan. These were: Anhey Ghorhey da Daan, of course, Marhi da Deeva, Chann Pardesi and Nanak Naam Jahaz Hai from this side of the border and Khamosh Paani from across. Ask Rajeev Sharma, who has quit a well-paid television job to experiment with low-budget films in Punjabi and his reply is: "Things are certainly looking up. The large chunk of the urban middle-class cine-goers who had stopped seeing Punjabi cinema altogether because of its poor quality by and large, has now returned to Punjabi films." 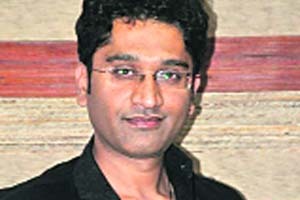 He made a one-hour film relating a short story in Punjabi on the Ruchika molestation case. He has now completed a full-length feature film called Nabar, which is based on a father’s struggle to trace a fake immigration agent, who takes his son abroad illegally where the boy is killed. Another film being talked about is Anup Singh’s Qissa, a post-Partition family saga dwelling on the questions of caste, religion and identities and has a fine actor like Irrfan Khan playing the lead. It is an Indo-European project supported by France, Germany and Switzerland. Irrfan says: "I play a Sikh in search of his roots in India. Partition and its cruel pangs form an important part of this emotional saga." Many were surprised when an actor like Irrfan chose to sign a Punjabi film. Well, miracles are certainly happening. Gunjit Chopra, a young filmmaker, who has completed a well-researched biopic on the popular Punjabi singer, who was killed by militants in 1988, is now writing the script of Chamkila’s story for a full-length feature. Time to tell the untold stories of Punjab on screen indeed. 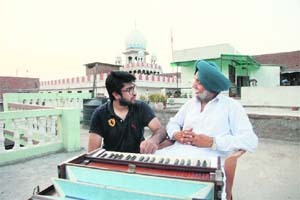 Gunjit says: "Punjabi cinema is looking up but one wonders if there will be more talented filmmakers with a passion for contributing to Punjabi cinema with most of the young people standing at the Indira Gandhi International Airport with their backs turned to their own culture in an unending race foreign climes." Even a few dedicated filmmakers will make all the difference.